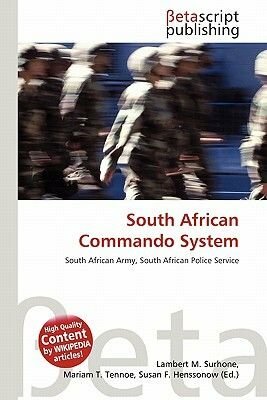 High Quality Content by WIKIPEDIA articles The South African Commando System is a voluntary, part-time force of the South African Army, but serves under the South African Police Service. Commandos are responsible for the safeguarding and protection of a specific community (both rural or urban). Commando services are usually referred to as area protection, a system which involves the whole community. The participants in the Commando system do not have military commitments outside of the areas they serve, and are responsible for the safety and security of their own communities. Each community is divided up into smaller more manageable sections called cells. Each cell comprises a number of farmers and or households, depending on the size of the area and dispersion of the area's inhabitants. Cell members are in contact with each other by means of telephone or a radio system which serves as a backup communication system in the event of the telephone lines being out of order. Alternative communication systems are therefore a vital element of the protection plan of any cell.